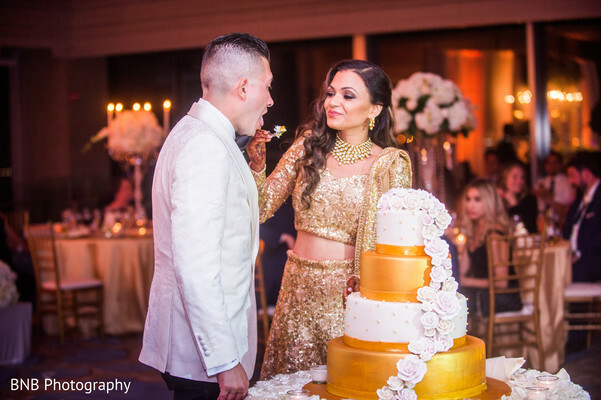 After months of planning with Touch of Elegance Event Planners, it was time for Rupali and Miguel to finally relax with their guests at their grand ballroom reception at the Hyatt Regency Jersey City. 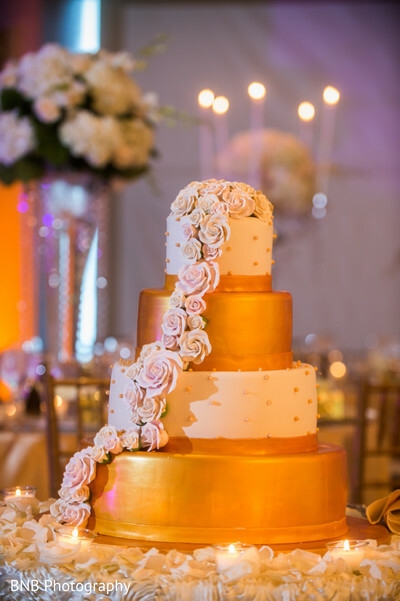 We love the fact that guests were able to sip on cocktails and snack on decadent bites while the bride and groom took intimate photos in front of the twinkling NYC skyline. 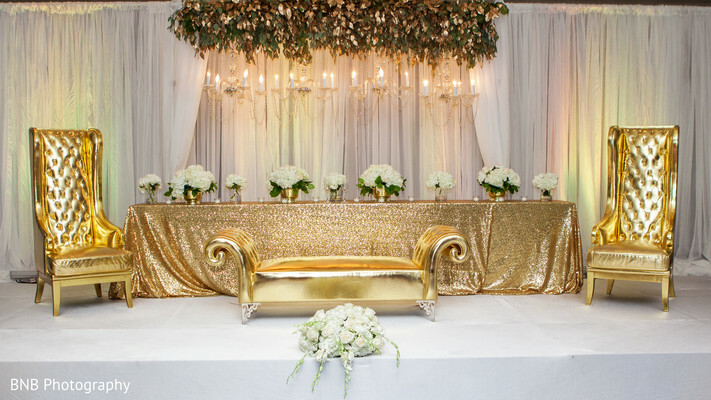 The venue was a creative masterpiece with innovative decor designed by Stylish Events. 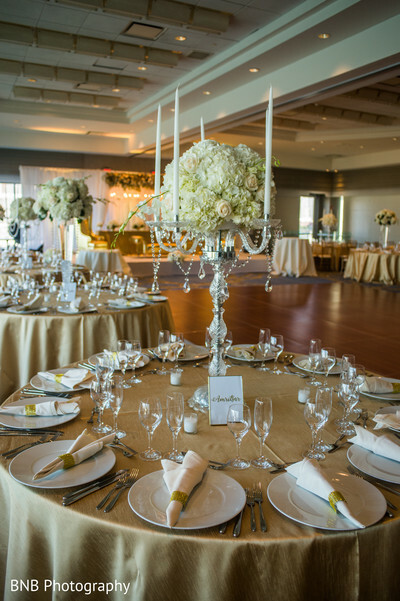 The cloud like floral centerpieces, glimmering crystal garlands, and golden sweetheart stage took every guest's breath away. 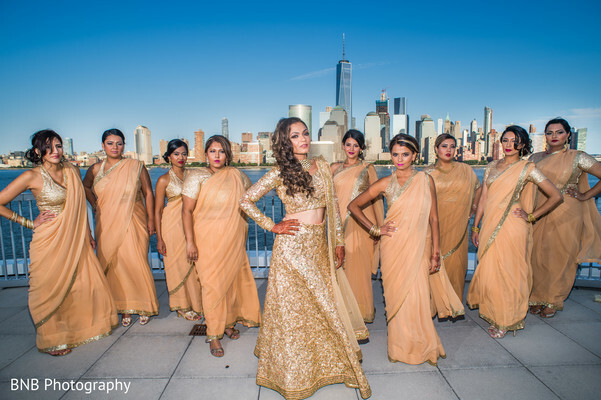 Rupali was a Bollywood goddess in a golden lehenga, with pristine hair and makeup by Heena Das Beauty. 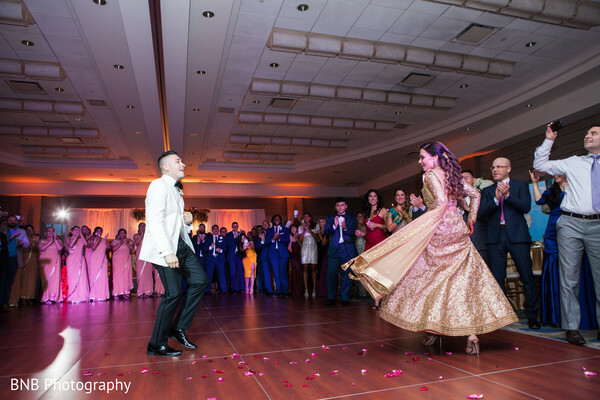 After a joyous reception program featuring spirited dancing and infectious Bollywood tunes, guests dined on modern and fresh cuisine catered by the stellar team at Bukhara Grill. 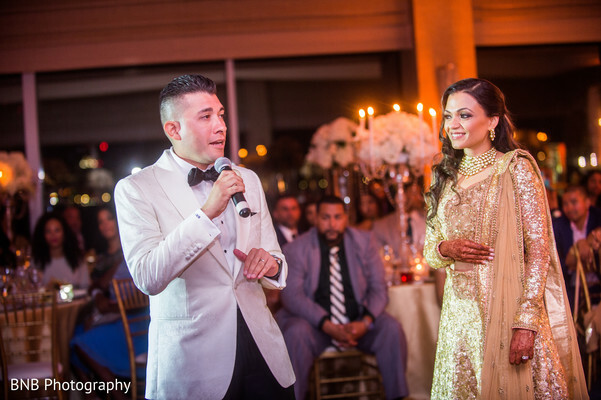 When guests were filled to the brim, DJ USA set up their glowing turntables and set the dance floor on fire. 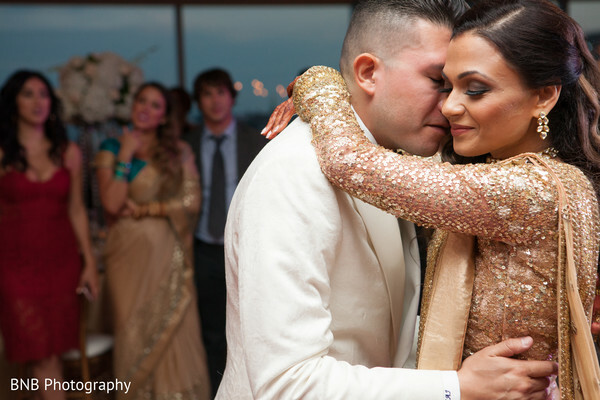 The night ended in a swirl of dancing and laughter, with all the live action captured by Swat Films. 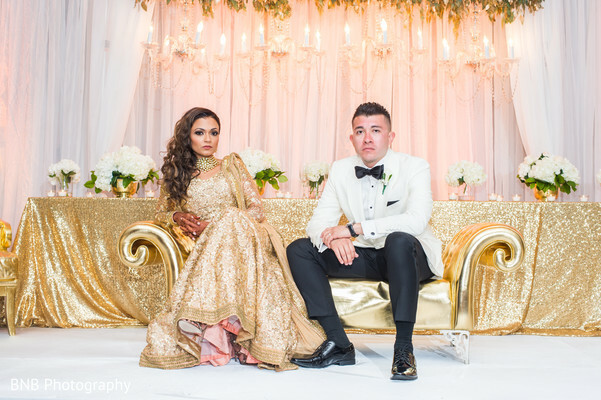 Peruse all the memories captured by BnB Photography in our full gallery. 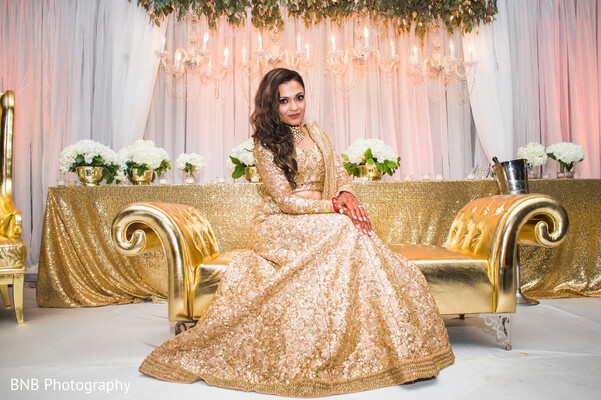 Stylish Events, Touch of Elegance Events and Heena Das Beauty are members of the Platinum Guide. Love what you see? Explore their portfolios.